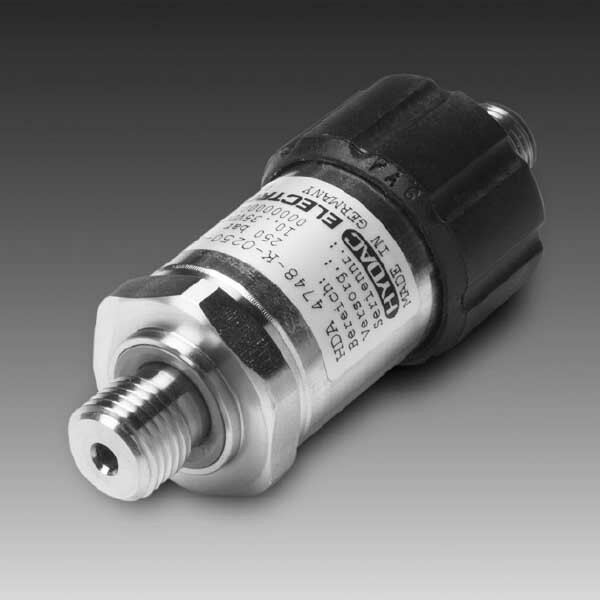 The HDA 4700 CAN is a digital pressure transmitter which measures relative pressures in hydraulics and pneumatics. The measured pressure value is digitised and made available to the CAN field bus system via the CANopen protocol. What’s more, visualisation and configuration of the instrument parameters are possible for the user via the CANopen object directory using standard CAN software. This pressure transmitter, based on the HDA 4700, has a very accurate and robust sensor cell with a thin-film strain gauge on a stainless steel membrane. Furthermore, these instruments have outstanding temperature and EMC characteristics, together with compact dimensions. So, their utilisation can be in a wide range of applications in the mobile and industrial sectors.